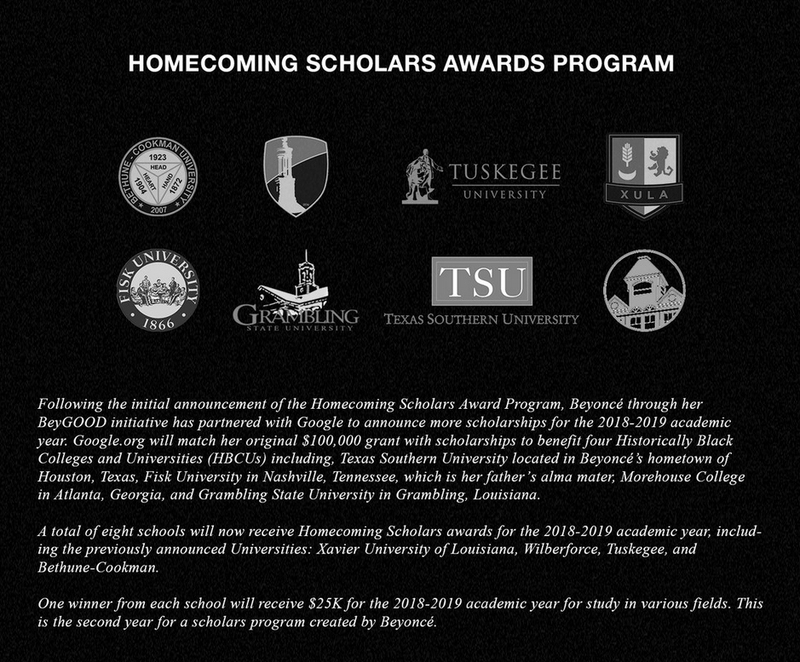 GRAMBLING, LA — April 23, 2018 – One day after closing out a history-making Coachella performance, artist Beyonce and her BEYGood initiative announced a partnership with Google to award another $100,000 to Historically Black Colleges and Universities that will include Grambling State University for the 2018-19 academic year. The contribution to Grambling State will support the University’s continual leadership in STEM fields. The University is the #1 producer of African-American Computer Science graduates in the state. For media interviews and more information on Grambling State University, email mediarelations@gram.edu or call (318) 243-5012. 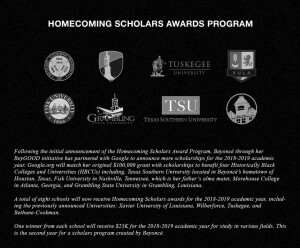 To show your support for Grambling State, visit www.gram.edu/giving. This entry was posted in Uncategorized on April 23, 2018 by Greta Carter.